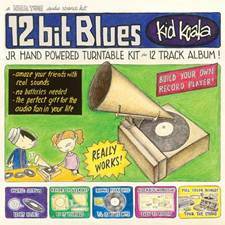 Snob's Music: Kid Koala returns with "12 Bit Blues"
Kid Koala returns with "12 Bit Blues"
Canadian producer/DJ/turntablist/electronic dude Kid Koala (known to his mom as Eric San) is set to return with an album of new material. The record, 12 Bit Blues, has been penciled in for a September 18th release date. I'll bring you more details, which will hopefully include tour information, as I get them.